Our flexible treatment programs enable us to tailor care to your needs. We provide detailed assessments to uncover the behavioral health disorders you might be experiencing. Then we create a treatment plan that includes a broad spectrum of traditional and alternative therapies, including family therapy, activity therapy, and Chinese medicine. 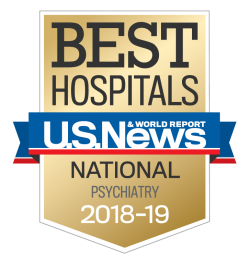 Our caring, experienced doctors and mental health specialists lead a wide range of evidence-based therapies, including treatment for depression and substance abuse. We have designed group and individual therapies, as well as alternative treatments and recreational activities, to provide an effective and positive experience as you heal and recover. It’s challenging to face recovery alone. At The Retreat, we emphasize community and relationships. We give you or your loved one an opportunity to form a trusting bond with other residents, doctors, and staff members. This therapy group meets five times a week, giving residents time to talk together about their anxieties, fears, and conflicts. Many residents find it helpful to expand upon the topics they address during individual psychotherapy sessions. Group members can receive feedback in a nonjudgmental setting and build relationships that are valuable to recovery. Every week we host a community meeting for residents, staff, and the leadership team. In these meetings, we welcome new residents, encourage volunteers to provide tours and answer new residents’ questions, and discuss issues that affect the community as a whole. This approach emphasizes how each resident can learn from and contribute to the group’s efforts to resolve conflicts. Many residents discover issues that they can further explore in individual or group therapy sessions. A family therapist can work with you or with your entire family. We encourage you to address underlying communication issues and resolve problems that could contribute to a mental illness. We work with you to uncover problems, plan for recovery, and help heal family relationships.